If the number of public statements issued on a particular concern were a barometer of its importance, the return of the Temporarily Displaced People (TDPs) in FATA would definitely top such a list for February 2016. Twice the Military leadership flagged the issue: once during a meeting of the Apex Committee of Khyber Pakhtunkhwa on February 09, 20161; secondly, during the Corp Commanders Conference on February 10, 2016.2 On both occasions, the resolve of the Military leadership ‘to ensure a timely and dignified return of TDPs to resettle them in their respective homes’ was highlighted. The tailpiece of this particular statement by him must however be taken with a pinch of salt. He emphasized that there was a massive displacement of people in Khyber Pakhtunkhwa during Operation Black Thunderstorm (conducted in Buner, Lower Dir, Swat and Shangla Districts) that started on April 26, 2009 in which over two million people had become internally displaced. According to him, the PPP-led Federal Government facilitated around 1.6 million of them to return to their homes by August 2009. Although this might be true, it was also the same PPP-led Federal Government and the ANP-PPP Coalition Government in Khyber Pakhtunkhwa that failed to take control and provide effective civil services in Swat after it was cleared by the Army following the Operation Rah-e-Nijat in 2009. Almost all the rehabilitation work in Swat was carried out by the Armed Forces that included training the local police, rebuilding schools and even setting up local medical camps. So much so, with 50,000 soldiers in Swat in 2010, the military presence in the area was larger post-Operation than during it. What are the areas in FATA from which majority of the TDPs belong? Which of these areas has the Pakistan Army declared safe and open for rehabilitation? Are the conditions conducive for the TDPs to return? What is the division of responsibilities between the Federal and Provincial Government in the repatriation of the TDPs? According to the statistics made available in the FATA Sustainable Return and Rehabilitation Strategy, March 2015, the first effort by the FATA Secretariat to map out a strategic plan for return and rehabilitation of the TDPs, a total of 310, 729 families have been displaced from FATA. 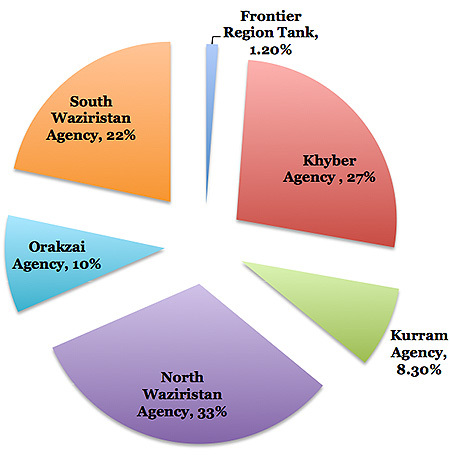 Figure 1 gives the percentage of the TDPs from the various areas of FATA in this regard. As regards the area that is notified safe for return of the TDPs by the Pakistan Army, a cloak of opacity shrouds this information. This particularly holds true for North Waziristan, which till now has remained closed for any independent media coverage. 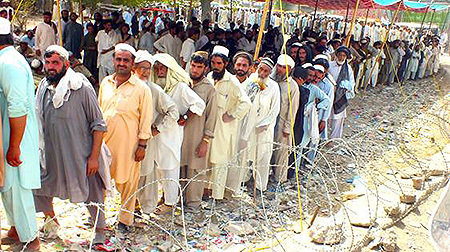 However, according to the FATA Secretariat, the return of the TDPs was to be carried out in five phases, with the last of the TDPs repatriated to their home by December 31, 2016. According to the Daily Situation Report on the return of the TDPs issued by the FATA Disaster Management Authority (FDMA), as of March 15, 2016, the following number of families has returned for the various regions of FATA. It seems that conditions are not completely conducive for the TDPs’ return, particularly for North Waziristan. The people of North Waziristan have been required to reaffirm their allegiance to the Constitution, Frontier Crimes Regulation and local customs, by signing an undertaking under the Samaji Mohada NWA 2015 (Social Agreement North Waziristan 2015) which is an 8-page long document. Particular sections of the Agreement are a matter of concern.8 For example, Section 17 states that ‘we will be obligated to provide security to all personnel of Government Institutions in our vicinity, and will facilitate them in their official duties’. Here, the question arises that how can people of North Waziristan Agency be made responsible for something, which is essentially the responsibility of the State? It also seems that the Federal Government seems to be lagging with regards to mainstreaming of FATA in Pakistan’s constitutional framework. The Prime Minister has formed a Committee for FATA related reforms on November 23, 2015 led by the Advisor to the Prime Minister on Foreign Affairs, Mr. Sartaj Aziz. Reportedly, the Committee has met only once till now. Given that an integral member of the Committee, i.e. the Governor of Khyber Pakhtunkhwa, has resigned from his post and Mr. Zafar Iqbal Jhagra has only recently been sworn in, the Committee’s subsequent course of action remains in the dark. The Provincial Government of Sindh seems to have developed a penchant for remaining consistently inconsistent with regards to the powers and deposition of Pakistan Rangers (Sindh) in the province. Whereas the months of December 2015 and January 2016 saw it at daggers drawn with the Federal Government, with the Provincial Assembly of Sindh placing conditions on the exercise of special policing powers, the Sindh Government granted an ‘unconditional’ extension for these powers on February 17, 2016 for 90 days, without any hue and cry this time around. The previous notification is this regard was issued on December 26, 2015, and expired on February 04, 2016. A particularly strange remark emanated from the Advisor to the Chief Minister, Mr. Maula Bux Chandio in this regard. While answering a question regarding whether Pakistan Rangers (Sindh) had also requested deployment in Interior Sindh during a press briefing, he said that ‘the Pakistan Rangers (Sindh) have not asked for Special Policing Powers in other areas of the province, but only for the Karachi Division’.9 We believe that the honourable Advisor to the Chief Minister needs to be reminded that it is not the paramilitary force that asks for deployment or granting of special policing powers. Rather, it is the Provincial Government that makes this request, based on its law and order needs, to the Federal Government.